Gated Community Just off Bee Cave Rd. Located in one of the most prestigious school districts in the Austin area, The Overlook at Eanes Creek is the clear choice for those who feel education is a priority. And that’s just the beginning. 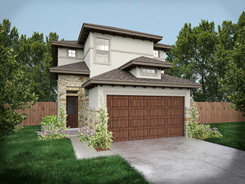 With only nine homes in this gated enclave, you’ll have ultimate privacy in a location just a mile and a half from the Hill Country Galleria, with Whole Foods, Dillards, and H & M – as well as excellent restaurants and entertainment options. Every floor plan designed by Wes Peoples Homes makes efficient use of space, adding to your home’s spacious feeling. With so many unique options to choose from, you’re guaranteed to love your new home.